This 1950's Princess Pink Phone is the perfect nostalgic phone! Features push button dialing in a rotary fashion. Perfect for your little sweetheart! Great for bedroom, den, or family room. 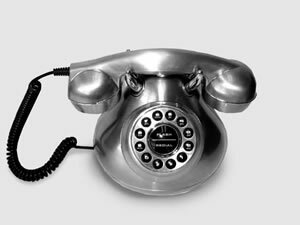 This 1950's Chrome Princess Phone is the perfect nostalgic phone! 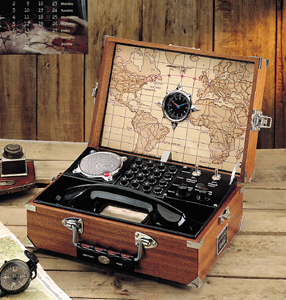 Features push button dialing in a rotary fashion. Perfect for your little sweetheart! Great for bedroom, den, or family room. 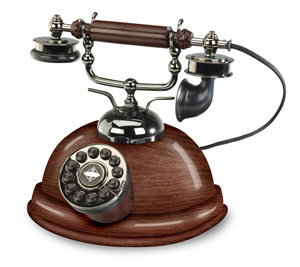 Antique style wooden desk phone with modern features. US Basic Classic Red Nostalgic Decorative corded desk phone offers push button dialing in a rotary fashion, receiver volume control, ringer volume control, flash. 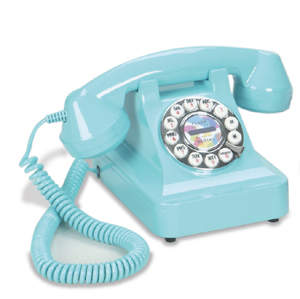 US Basic Classic Teal Nostalgic Decorative corded desk phone offers push button dialing in a rotary fashion, receiver volume control, ringer volume control, flash. 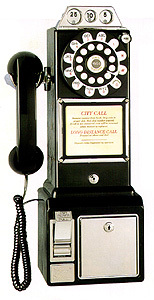 T1950 PAYPHONE Classic model will take you back to the days of old fashioned phone booths and five-cent calls. Drop in a coin and you’ll hear the original brass jingle, the push buttons even have an authentic rotary look. Desk or wall-mountable with heavy-duty ABS plastic cabinet, chrome accents, full featured coin bank with lock and key, ringer control and tone/pulse switchable. Black. 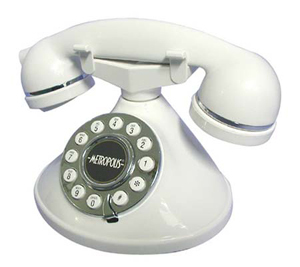 This corded desk phone is the ultimate retro phone! 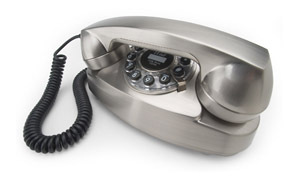 Features tone/pulse switchable dialing, handset volume control, and ringer volume control.